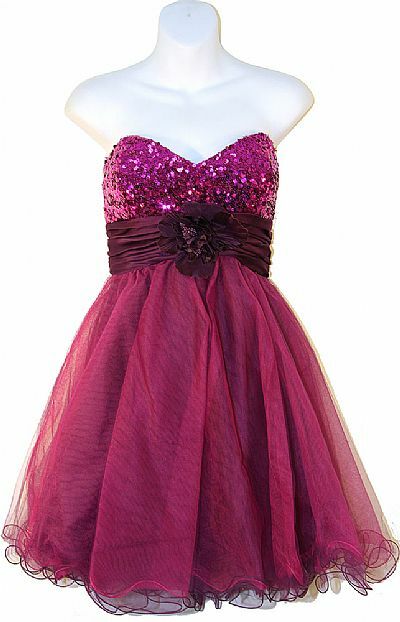 Flowered waist sequined party dress. Dress has high plait waistline, sequin bodice and mesh netting. 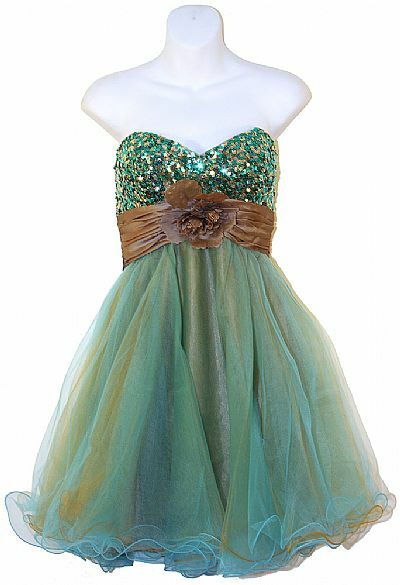 Perfect fun-n-flirty prom dress. Length is approx. 27 inches.